UV dye can help in detecting oil leak sources. It can be very difficult to pinpoint and detect the cause of leaks when the engine is covered with oil. Sometimes it’s best to clean the motor to help determine where the oil is coming from. By adding UV (Ultra Violet) Dye, the leak can be traced much easier back to the source. To begin with, it’s best to determine what type fluid is leaking, there are several things that could be leaking on an automobile. 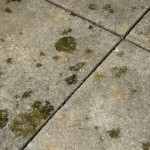 The leak we think of most commonly that stains parking lots and driveways, is engine oil from the car’s motor. Other drips could be caused from the transmission, power steering, differential, cooling system and even from the air-conditioning. Narrow down the component that is leaking by checking the fluid levels and looking at the color of the fluid to help detect which fluid is dripping under the car. Transmission fluid will most likely be red, look at the color of the fluid on the dip stick to help determine if it matches the fluid that is leaking. The power steering fluid is mostly clear, brownish if older or red if transmission fluid is used. Most everyone knows what color the engine oil is – again double check the color of it on the dipstick to see if it matches the color of the leaked fluid. Coolant can be green, orange, red, yellow and brown if neglected see what color is in the car being checked. *Don’t open the radiator cap on a hot vehicle. 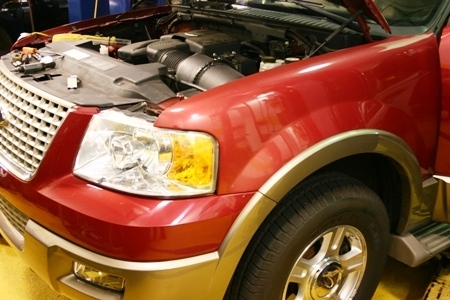 A common mistake when cleaning the engine is drenching the alternator. Alternators have constant power supplied from the battery even with the ignition switch off. A neighbor of mine recently was detailing his engine compartment, when he shorted the alternator making it smoke. I suggested that he disconnect the battery and allow it to dry out completely, then recheck it. He told me he already tried that but the alternator was definitely history. Now he has a very clean engine compartment and a shiny new alternator! Anything electrical under the hood should be avoided when spraying water. Years ago when I cleaned an engine at a shop I worked at, a check engine light came on for the TPS (Throttle Position Sensor). Since then I’ve learned to be more careful when cleaning under the hood. It’s best for the engine to be warm but not hot. If the engine is hot it’s possible that quickly cooling components with water could cause cracks or warp-age. Many people including detail shops clean motor compartments every day without causing damage, it’s just best to be cautious. 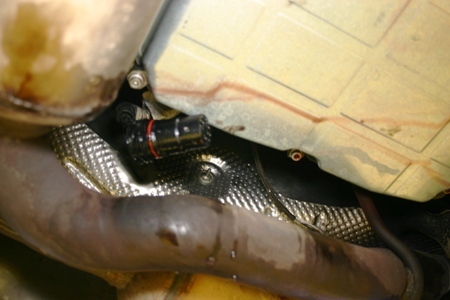 Sometimes just by cleaning the car’s motor, detecting the source of the leak can be done without the use of dye. Other times it may be helpful to add dye to help diagnose the leak source. 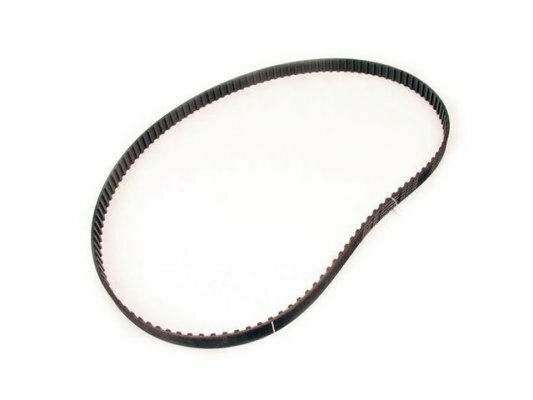 Many unnecessary gaskets and seals have undoubtedly been replaced without repairing the true source of leaks. By taking a little extra time to correctly identify the problem, money can be saved by replacing the needed parts the first time. It’s best to start with a clean engine and then add UV dye. The idea is to make the source of the leak appear more easily – to make it glowingly apparent! Depending on how fast the leak is, an engine may need to be ran for different l lengths of time for the dye to show. A fast leaking engine will not have to run very long with the dye circulating in the oil. 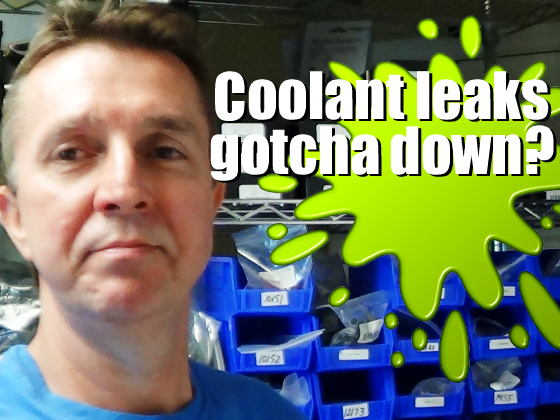 An engine with a slower leak will have to be ran longer before the dye starts leaking out. It’s important not to run the engine too long with the UV dye because then its trail will be harder to trace. If done properly a UV light can be used to shine on the oil and the trail can be followed back to the leaky seal or gasket. I usually alternate between using a UV light and a regular shop light when pinpointing the leak source – surprisingly the fluid looks much different under the contrasting lights. Sometimes a leak appears to be on the bottom of the engine, it might look like the oil pan is leaking but it could be leaking from higher up and running down. The ultraviolet dye in the oil will help determine if the leak is running down from a higher source on the engine like a valve cover or cam seal. 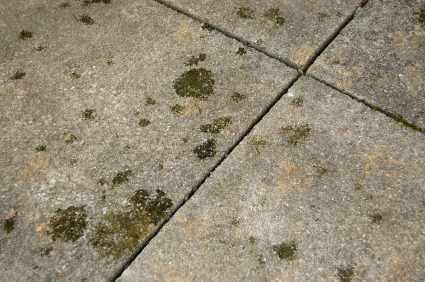 The path of the leak can typically be followed back easily. Verify which fluid is being lost, so dye can be added to the right component. Clean the engine if necessary. If valve covers are definitely leaking, replace them and then proceed with cleaning and adding dye if necessary. Adding UV dye can make accurately detecting the source of leaks much easier. Verify PCV (positive crankcase ventilation) is working properly with no vacuum leaks. If there are no leaks and the oil is being lost, it’s being burned. With catalytic converters burning the oil that ends up there at such a high temperature, smoke from the exhaust may not be noticeable. Engine oil breaks down after around 2,500 to 3,000 miles and may start to leak or burn faster than newer oil. Driving habits and the vehicle type can be definitely be variables. I’ve noticed with my personal vehicles over the years that after around 2,500 miles my engine oil starts to be consumed at a faster rate. One of my cars will not lose any oil in the first 2,500 miles but will consume a little less than a quart in the last 500 miles prior to the oil change. Since I realize this is the case, I’m not concerned with an oil leak or the engine’s valve seals or rings causing the oil to be burned. I know that with a fresh oil change I’m good to go for another 3,000 miles. 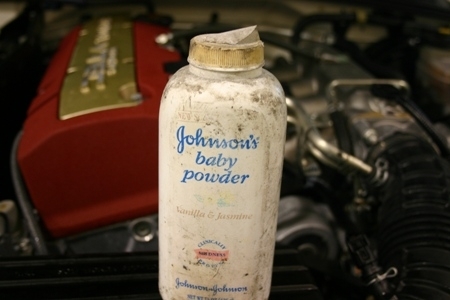 Most manufacturers consider a loss of 1 qt. of engine oil every 1,000 miles acceptable. I DON”T. I’ve had new vehicles that have consumed a couple of quarts in 3,000 miles and I’ve had old work trucks with over 150,000 miles that didn’t use a drop. Searching on the Internet for problems with certain vehicles consuming oil can be done to see if there are any particular common issues. If considering purchasing a new or used vehicle this is a good practice, so hopefully there won’t be any surprises. Using the information provided in this auto repair blog, detecting oil leaks will be much easier especially when using UV dye to help diagnose the source of those aggravating oil leaks. Can I add UV dye into a hydraulic tank and not damaging the cylinder seals, gaskets, valves?